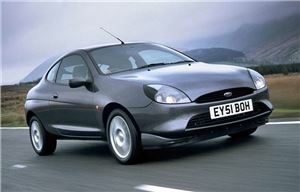 Whether or not you can get a modern on a classic car insurance policy is a bit of a grey area. So here are ten surprising cars you can insure as a classic. Surprised? Thought so. Yes, the Fiat Tipo-based replacement for the brilliant yet flawed 33 is available to you on a classic policy. And why not? 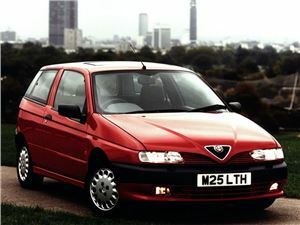 The Alfa 145 is the car that started a trend for putting some distance between the three- and five-door variants. As well as looking great, it was sharp to drive (especially in Coverleaf guise). Early cars got the flat-four boxer, but this was later replaced with the Fiat Twinspark, with the 2.0-litre being the pick of the bunch. But will it be cheap for you to insure? If it was good enough for 007, then the BMW Z3 is definitely a modern classic. 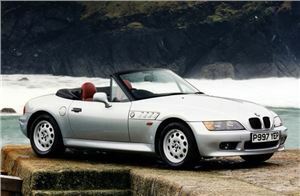 It might have taken a bit of stick at the time with many regarding the four-pot 140bhp version as an underpowered hairdresser’s car, but these days we’re a little bit more accepting of this fantastic BMW roadster. Fantastic? Absolutely. What it lacked in power (even with the 192bhp six-cylinder 2.8-litre) it made up for with beautifully weighted steering, near-perfect handling (thanks to that superb chassis), and a superslick gear change. The BX’s replacement was a bit more conventional than the model it replaced, swapping angular lines for more organic styling. 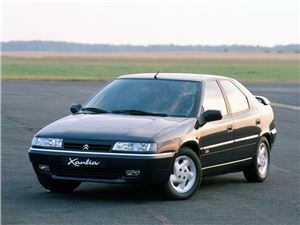 It did, however, feature Hydropneumatic suspension – which makes it a proper Citroen in the eyes of most people. Keen pricing and decent spec made it popular with private and company car drivers alike, the 3.0-litre V6 Xantia Activa offered performance and handling that was almost out of this world. No, you’re not seeing things – a brand new car is available to you on a classic car policy. 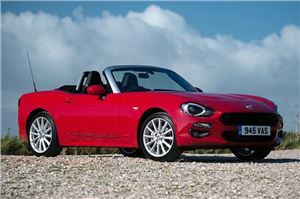 Time will be the true test of whether or not this reboot of the classic Fiat convertible lives up to the hype, but first impressions are good. As you’d expect from a car based on the Mazda MX-5, handling is excellent. 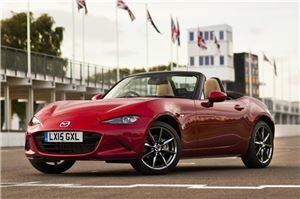 The real talking point is the Fiat uses a 1.4-litre turbocharged powerplant, which makes for a slightly more relaxed cruiser compared to the gloriously thrashy, teeth-rattling, gear-slamming extravaganza that is today’s MX-5. Why more people don’t come over all evangelist over the Puma is beyond us. Any car that can be this slow and this much fun is alright by us. OK, so you won’t break the world landspeed record – but neither will you have to brake for corners, such is the Puma’s handling prowess. The full engine line up is too confusing to go into here, but get a 1.7-litre if you can. And ideally buy a model without rusty rear arches (although these won’t affect the handling and or the fun factor). Everything about the Honda S2000 is predictable. It’s predictable that it’s better (and more expensive) than almost all of its rivals. It’s even predictable when the back end steps out of line. 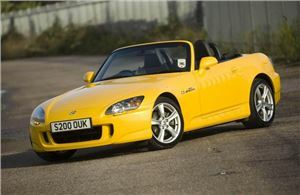 But sometimes, being predictable isn’t bad - sometimes we find comfort in the familiar and the S2000 is no exception. Hugely capable, it might rust a bit but it won’t break down. Proof, if proof were really needed, that a car doesn’t have be a forty-year-old British-built convertible to be considered a classic. 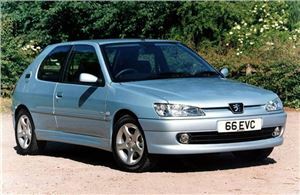 The Peugeot 306 might look like your run-of-the-mill family hatchback – but here is a car that is a joy to drive and made a decent claim for the ‘best in class’ award until the Ford Focus came along. If you fancy a good family runabout, go for the 1.6-petrol. If you’re after fun and games, then the 2.0-litre GTI-16 is the one to buy. 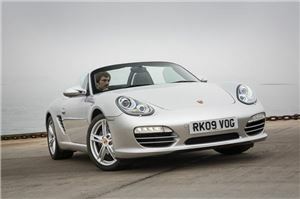 Amazingly, the Porsche Boxster is 21 years old. But you don’t have to buy a first generation model for it to be insured as a classic. You can pick up a 987, 981, or even the latest 718 and get it on a classic policy with agreed value and nominated specialists to look after the car should the worst happen. While early MR2s are readily accepted classics, the last of the line is still waiting in line for its turn – but not in the eyes of some insurers. 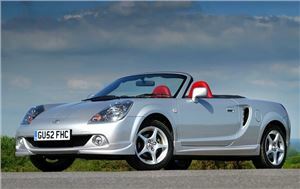 These mid-engined sports cars are hugely popular, with prices for early Mk1s having shot up in the past three years. Now is your chance to bag a tidy Mk3 and watch your investment appreciate while you know it’s well taken care of.